Last week I came across this article in the Leicester Mercury, by Raegan Oates, about the strange things she misses about Leicester, now that she has moved to Bulgaria. I could really relate to it, and I must admit I have been thinking of quite a few things I miss about Leicester too since my visit to England is in less than a week! Oh and if you haven’t already guessed, Leicester is indeed my hometown in England. 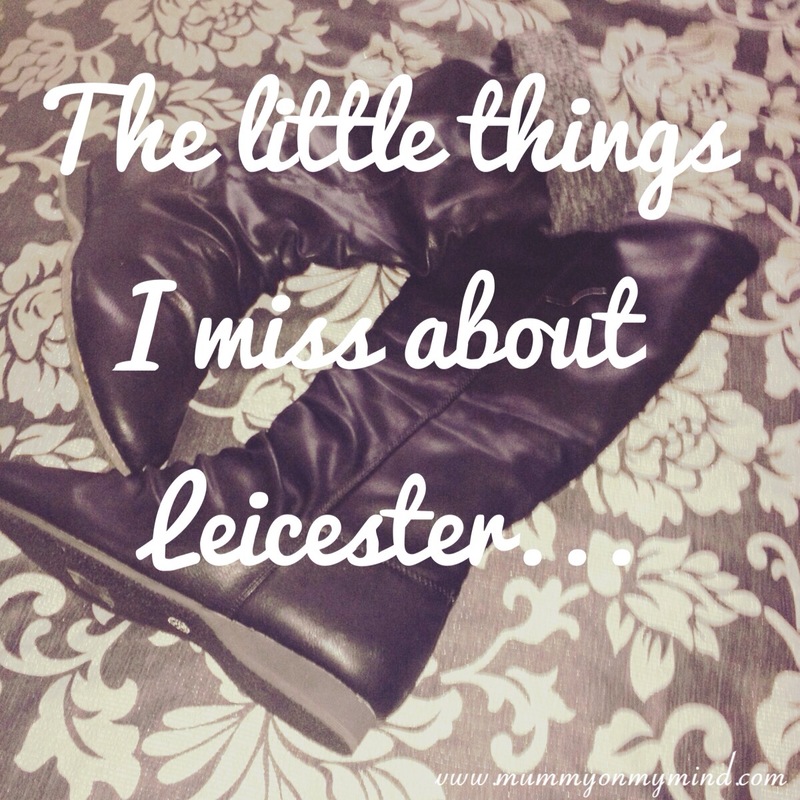 So below I share with you 11 things that I miss about being back home in Leicester,all of which I am very excited to relive soon!! 1. Wheelie Bins. Raegan was so right on this one, because having wheelie bins means that I am able to stroke stray cats without fearing death. Although on second thoughts, I would probably never remember to wheel out the bin every Thursday morning for collection. 2. Sensations crisps: Thai Sweet Chilli flavour. A rare species of crisps in UAE, if not non-existent, and one I used to devour every weekend. I can’t even begin to express how good these taste. Other food items that I would mention in this category would be breaded scampi, vegetarian sushi trays and white chocolate cookies from Asda. Yum! Couple these with a good British TV documentary or sitcom such as Doctor Who, The Apprentice, The Great British Bake Off or Dancing with the Stars (I could go on and on!) and I am a happy bunny! 3. McIndians Donner Kebab. TO.DIE.FOR. The juiciest and most delicious Donner you will ever taste in your life. No question about it. 4. Musicians in town or train stations. You can be walking along on a dull winter’s day as the drizzle of rain begins to speckle on your glasses, and your socks soak up all the muddy water from the puddle you just stepped in. Suddenly you start to hear a faint hum, and as you carry on further you are transported to Italy or reminiscing good memories thanks to the beat that a musician is playing on the side of the pavement. Whether it be by the use of a trumpet, guitar or simply singing, roadside musicians are (almost) always a pleasure to listen to. 5. Bus rides. Having lived in Dubai for over 2 years, it is shocking to me that I have yet to sit on the bus here. I have taken other modes of public transport, but not the public bus, simply because the opportunity to do so has not risen. However, bus rides in Leicester were a daily thing, especially as a student. Oh how I miss running after the 58A as the driver started to pull out and shut its door, or hearing other commuters discuss their relationship status behind me whilst I giggled in front. 6. Pedestrian crossings. There seems to be a shortage of these here, where roads are all about vehicles, and pavements can be a luxury in some parts of UAE. I do miss the abundance of good old zebra crossings, and the lovely Lollipop lady that comes along with it. 7. Traffic. I miss half an hour traffic jams in town as opposed to being stuck on a road for 4 hours here in Dubai. Also, in a country where honking the horn is basically a sin, it makes for rather quite traffic jams. 8. Bodycare in Highcross Shopping Centre. This little health and beauty store houses many of my staple beauty must haves, and I can’t seem to find them in Dubai anywhere at all. Therefore, I always make sure to buy plenty of my favourites whenever I visit so I never ever run out! 9. Local Library. It was my sanctuary for many years, and my favourite place to go during the school holidays. Yes, I was the Book Worm who would take a huge pile full of heavy books home and finish reading all of them in one day. Needless to say, my mum was not impressed. 10. Post being delivered through the letter box. Oh how I miss the excitement of getting the post, even though the majority of the times, it’s probably bills or some sort of junk mail. Either way, post being delivered to your house is so useful, in personal and professional matters, and something I wish was available here in Dubai. 11. Winter. Oh how I miss the rain, the snow, wearing hats and gloves, and feeling cold before snuggling beside the heater with woolen socks and a blanket. Though I am not complaining at all about the amount of sunshine I get living here in Dubai, I sure do miss a “proper” winter sometimes. On the other hand, why not check out what things I am grateful for in Dubai? You can find the list here. What do you miss about your hometown? Do any of these resonate with you? Please feel free to share your thoughts in the comments section below! Is the post not showing up? Some kind of error? No, you’ve said post isn’t delivered to your house in Dubai so I just wondered how you got it. Do you have to collect it? Oo sorry I misunderstood! Haha well there isn’t really a letter posting culture here to be honest, and definitely no “Royal Mail” establishment. You can purchase a post box, though they don’t normally come cheap! Important documents can be couriered to your address though. Wow..lovely reading this!! I ❤ lovely don’t. .plan to visit soon?? Thank you, yes in sha Allah will do!